Learn how to sideload Android apps to your Amazon Fire TV or Fire TV Stick using a Windows computer. Amazon has given Fire TV owners the ability to easily sideload .APK files to their device. The whole process should take less than 10 minutes. Since the Fire TV does not have touch screen capabilities, only certain Android apps will run correctly on the device (click here for a link of recommended apps to sideload). Mac users can use this tutorial. 1. On your computer, download and run the ADB installation here. 2. 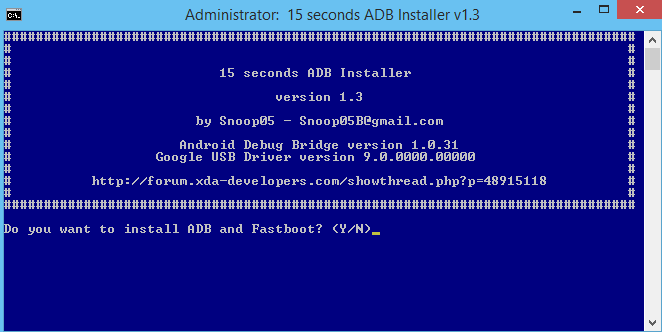 Type ‘Y’ and hit Enter to install ADB and Fastboot. 3. 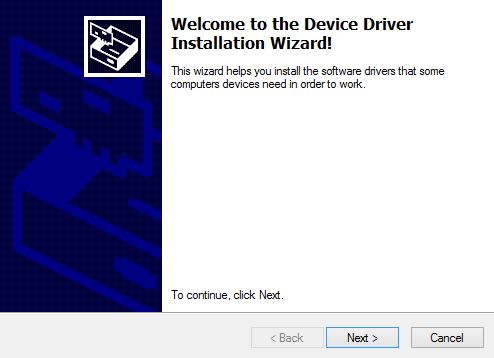 Type ‘Y’ for the ADB system-wide installation and again for the device drivers installation. 4. 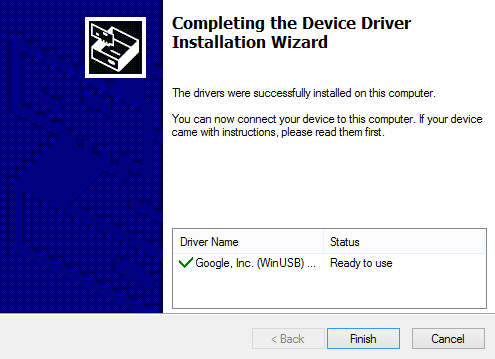 You will prompted to install the drivers. Confirm and install the ADB drivers. and hit enter. The installation may take some time depending on the file size. 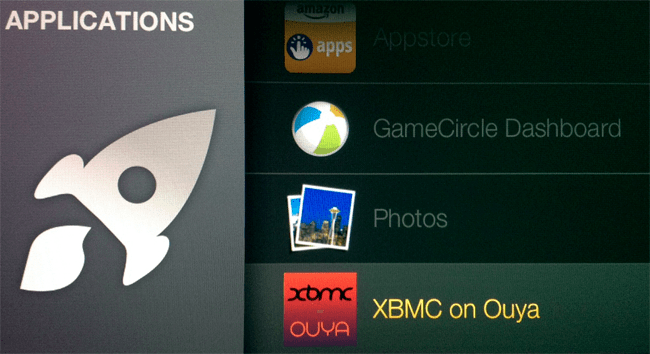 I installed XBMC (50mb) in this example and it remained on this screen for about 5 whole minutes before the success message appeared. 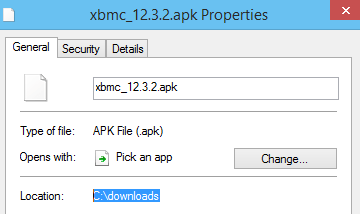 TIP: To easily find the file path for the .APK file, right-click the file and go to “Properties”. 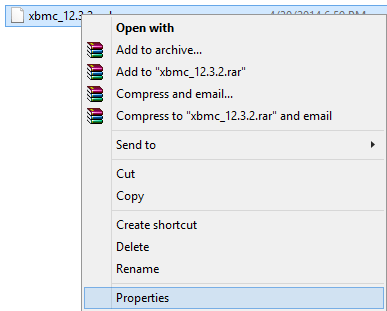 The file path is located in the ‘Location’ field. 4. Upon successful installation, the following message will appear. Your tutorial and site layout made this task easy. Much appreciated! Please make sure your Fire TV and computer is connected to the same router. Able to side load Firefox browser but unable to navigate the webpage using Fire tv remote. You need to plug a mouse into the usb port of the fire tv to navigate firefox. I’m using a keyboard with built in usb ports so I can have my mouse and keyboard plugged in at the same time. what if you are using a fire tv stick? How do you navigate around Firefox? You can connect a bluetooth mouse or use a remote app on your phone. Worked first time. Much appreciated. What if I don’t have an APK? I’m trying to load some things but they are ZIP files. I cant find a way to push the ZIP files to the Fire Stick so that I can run it. Sorry if this is obvious, or cant be done, I’m brand new to Fire Stick and have spent literally hours trying to figure out how to do this. The Fire TV runs an Android based operating system. APK is the file format used to install programs to the Android. You will not be able to install zip files. The file will be pushed to the Download folder of the Fire TV. Admin, you rock. Thanks for the fast answer and the working solution! I was able to push the .zip file to the Fire Stick, and install the program. I was trying to put Addon Installer (aka Fusion installer) onto Kodi on my Fire Stick. I had the .zip file, and was able to push it and install from the .zip. Would you please do an old man a newbie favor and type an example for the file path etc.that I need to type in so I too can get the zip files to Kodi as well? I’m not certain what a filepath looks like exactly, I know just enough to make a mess of things in the process. Oh, AND once I get the zip to FTV, how do I get it to kodi? I’m not sure where the zip file ends up once pushed to FTV or if I can push it directly into kodi somehow. I apologize for these Q’s and I feel like a fool for not knowing this. I’ve looked around some and I can’t find the needed info to do this. Thank You! I appreciate you guys and your knowledge more than you know. 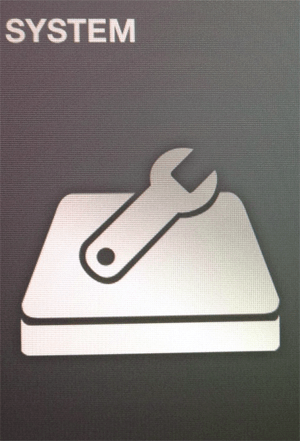 I am trying to sideload apps from my iPhone.. iOS apps. This seems to be different than Android APK apps? I backed up my apps to my computer and in the Command Prompt, I am typing in the address, but it tells me it only takes an APK file. I do not have Google Play apps… is there a way I can sideload apps from the Apple App Store?? Or even the Amazon app store? It seems to be different.. thank you. 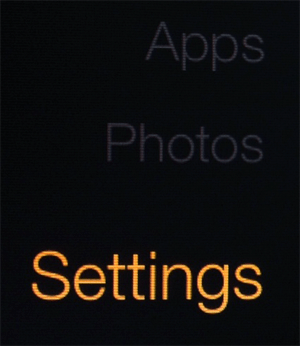 You cannot install iOS apps to the Fire TV. The Fire TV is an Android based system which is why you’re able to install .APK files to it. OK thank you–you may disregard the additional message I sent in yesterday, as I see your reply has come in today. I find it strange that the Amazon FireTV stick will not sideload additional Amazon appstore apps! Definitely strange to me, but oh well.. I will be returning my FireTV stick to them.. it is of no use to me. Great article, thanks! Just sideloaded the Xfinity app to my FireTV Box. Now I need to be able to control the app. Is there a way to do it from Windows or an iPhone? I know some people use WUKONG REMOTE CONTROL on their FireTV, and then can use the same app on an Android mobile device as a remote for the FireTV, but I don’t have an Android device to use as the remote. Any ideas? You can connect a bluetooth mouse to the Fire TV or you can try Remote Mouse for Fire TV for the iOS (it’s not free though). You are AMAZING. With your help I was able to sideload an app that allowed me to use AirPlay on Fire TV FOR FREE. My life is now complete!!! Hi .. all I get is an Internet Explorer icon, When I click on it, it gives me a list of files which it says are the Kodi apk files. Rename the file to kodi.apk or something short and enter that into the command prompt. So i have gotten all the way through the process, yet i am currently hung up awaiting the “success” message in command prompt. I guess my question is, just how long does it take to successfully install? It depends on the size of the file but it can take up to 10 minutes. There is no message or any indication that it is installing. Only once it’s finished will it display a message.